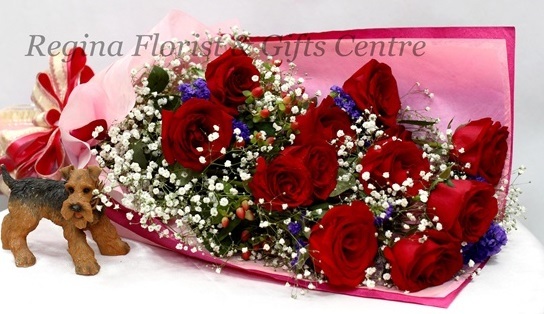 Red rose is a traditional symbol of deep love and respect and is the rose color most often used to signify the words "I love you." 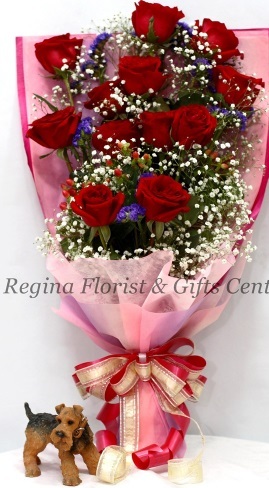 A bouquet of red roses with hypericum and million stars. It's a gift that will make a lasting impression. Available in 12 Stalks and 24 Stalks.